Cöde Upholstery Cleaner is a low foam shampoo that may be used hot or cold to deep clean carpets, rugs, leather, vinyl, fabrics and upholstery. It contains stain removal properties that will easily lift out general surface dirt, leaving upholstery carpets etc. clean and with a lemon fresh scent. This solution may be diluted and is compatible with all domestic and industrial carpet cleaning machines including VAX and Bissell. 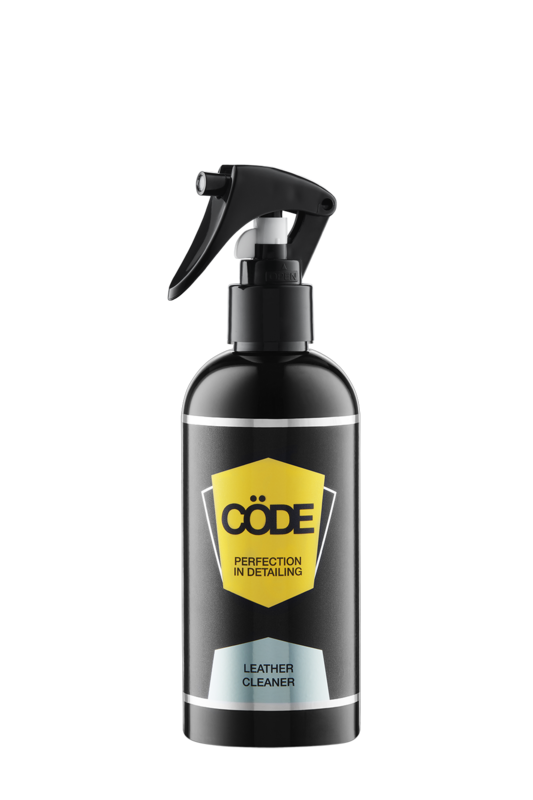 Prior to ordering this product please contact CödeClean either by email at info@codeclean.com.au or by calling 1300 845 498. Prior to application, test on a small sample. For best results we recommend using a carpet-cleaning machine. Fill detergent reservoir with clean water – can be hot or cold, add 10ml Cöde Upholstery Cleaner to every 1 litre of water and mix. Clean the carpet/upholstery and ensure as much residue is extracted as possible. Repeat the process if the carpet/upholstery is heavily soiled. Keep out of reach of children. In case of eye contact, rinse eye thoroughly with water. If swallowed do not induce vomiting, seek immediate medical attention.